After being listed on LinkedIn’s Top Startups 2018, we’re happy to announce yet another ranking that puts Zapr at the forefront of technological revolution in business. Zapr’s audio fingerprinting algorithm has been evaluated as one of the best in the world by MIREX - Music Information Retrieval Evaluation eXchange, an international fingerprinting bench-marking contest run by the University of Illinois - Urbana Champaign. 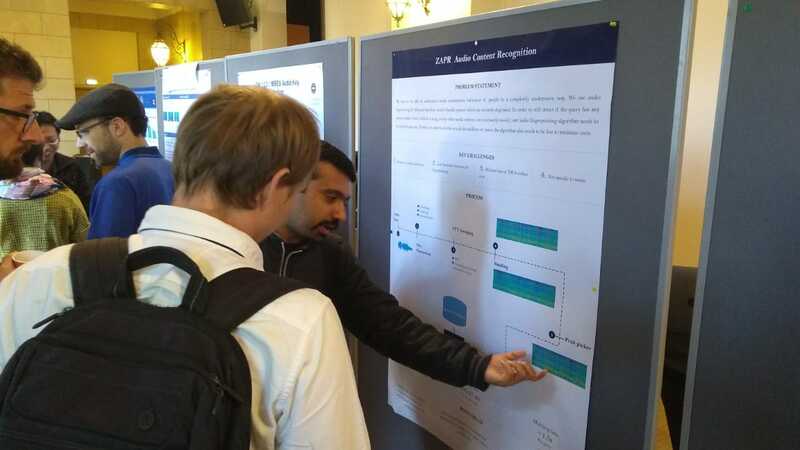 Having achieved 90%+ accuracy, our algorithm was rated one of the best globally and showcased at ISMIR (Paris, Sept 2018), an international forum for research on the organization of music-related data. Zapr’s innovations were well received among an audience of top researchers and technology builders. What makes the achievement truly remarkable is the fact that Zapr’s algorithms were able to deliver on accuracy without sacrificing on efficiency. The evaluation was made even more challenging with a hidden dataset, for which we achieved the match rate at a record time of less than 3 hours. Check out the complete list of top performers at MIREX 2018. Placed on par with top audio content recognition (ACR) technologies worldwide, Zapr is taking forward its disruptive technology to meet its ultimate vision of providing a comprehensive offline and online media consumption repository for every brand user. At Zapr Media Labs, we’re constantly trying to build trailblazing innovations that set the benchmark and we are glad to have leading media bodies as partners on that journey. Read more about Zapr's Digital Signal Processing (DSP) team that breaks down sounds to numbers here.